SUPERAntiSpyware FAQ - How do I keep SUPERAntiSpyware up to date? Frequently Asked Questions – How do I keep SUPERAntiSpyware up to date? How do I keep SUPERAntiSpyware up to date? For maximum effectiveness, check for both program and definition updates regularly, at least once a week. To check for program and definition updates, right-click the SUPERAntiSpyware icon (the yellow/brown bug) in the system tray (near the Windows system clock), and select "Check for Updates." Follow the prompts to complete the update process. SUPERAntiSpyware Professional allows your computer to check for updates automatically. 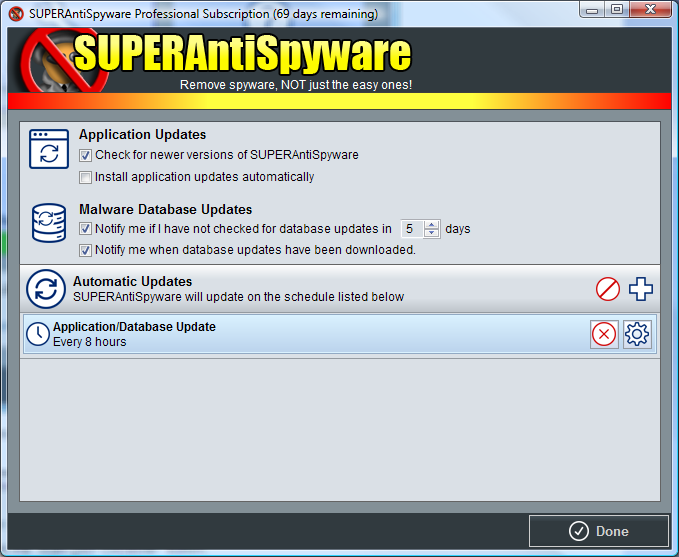 To access SUPERAntiSpyware Professional's automatic update features, click the "Automatic Updates" button. 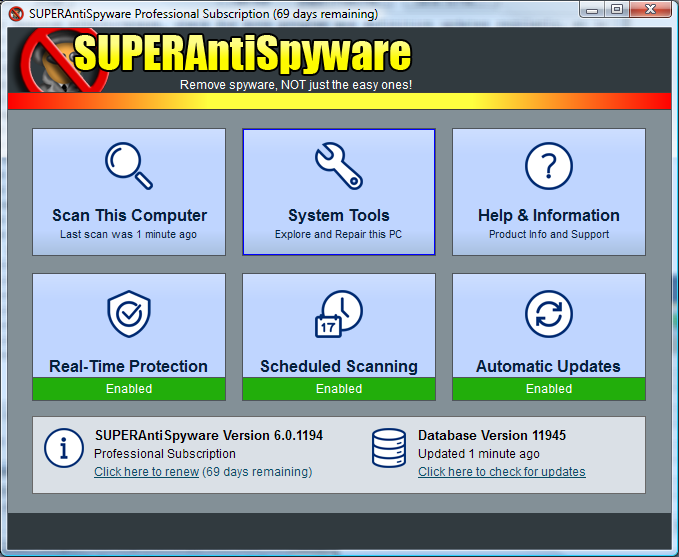 SUPERAntiSpyware Professional can be set to check for program updates on startup, and to check for program and definition updates every 8 hours. Note that SUPERAntiSpyware doesn't normally check for definition updates on startup. You must make sure that the "Check for newer versions of SUPERAntiSpyware" and the "Install application updates automatically" options are checked. 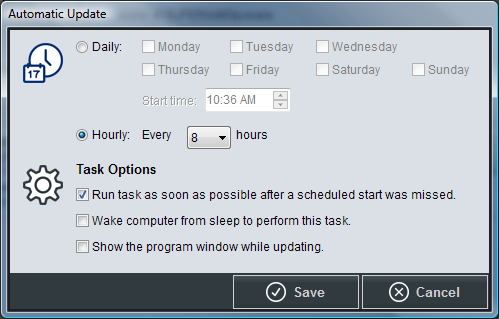 You have the option of customizing your Automatic Updates to better suit your schedule and overall computer use. Once all of you preferences have been set, click the "Done" button to save.